One can’t go wrong buy making use of a professional home inspector, especially if the property turns out to be problematic. It can also be beneficial even if the outcome of the inspection is positive and that you have decided to make the purchase. The sole purpose of an inspection report is to give you an exact idea of what has happened to that property since the first day it was built. Things that they will tell you are; if there are any major problems with the structure, plumbing and electricity, what problems can it cause in the future, or how much the damages will cost you. It is important to know that all building and restorations have been done by a professional builder so that you can’t expect any issues in the future. It might not sound that important, but it is actually from utmost importance to know the quality of the parts used to build the house. If it is modern and fancy stuff, then I can almost guarantee you that you will be happier with purchase. Some say that having your home inspected is like having an x-ray taken from the house. It will give you a good idea of what has happened to the the property and what might happen to it in the future. This can be very helpful, because they can easily see if the kitchen or bathroom has been re-done, then you can be assured that you won’t need to do it in the near future. In most cases you won’t even realise that your roof will need waterproofing every now and then, where if you were using a home inspector they might have been able to pick up that problem. We have seen a lot of South Africans tend to skip this phase of home-buying, but not knowing that they will have to spend a lot more in the future on the property because they were to greedy to spend the money on a professional home inspector. It is of utmost importance that you conduct an inspection before applying for a home loan. 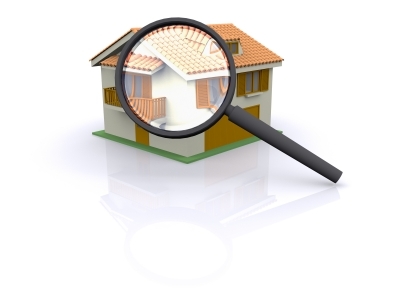 By obtaining a detailed home inspection report can save you getting unwanted financial surprises. I would suggest that all home-buyers should spend that little bit more for a proper inspection of their property before purchasing.